The Sunderland Reformatory School for Girls was established in 1860 on Tatham Street, off Borough Road, Sunderland. Its address was originally given as 6 Tatham Street but in the early 1900s was changed to 3 Tatham Street. The School, housed in a former private residence, was officially certified for operation from June 22nd, 1860, and could accommodate 52 girls aged from 12 to 14 years at their date of admission. Only girls who had been sentenced to at least four years detention were accepted. No charge was made for girls admitted from Durham and Northumberland; for those from other places, a payment of ls. 6d. per week was required. The School site is shown on the 1897 map below. Sunderland Reformatory for Girls site, c.1897. The School's initial intake came from the Sunderland Ragged and Industrial School which, despite its name, had been partly acting as a Reformatory School since 1856. Girls at the School were given a mixture of classroom education and industrial training. Classroom lessons included mental arithmetic, recitation, geography, singing and gymnastics. By 1903, the girls were being given domestic economy lessons and weekly cookery classes. A country holiday that year in Teesdale gave the girls the chance to try their hand at haymaking. Industrial training including sewing, knitting, laundry work and general housework. The School motivated the girls through a series of competitions in such matters as bread-making, cake-making, metal-cleaning and boot-brushing. The School appears to have enjoyed a very good reputation and former inmates readily found places as domestic servants. In 1906, it was reported that several of the School's old girls had started their own laundries. 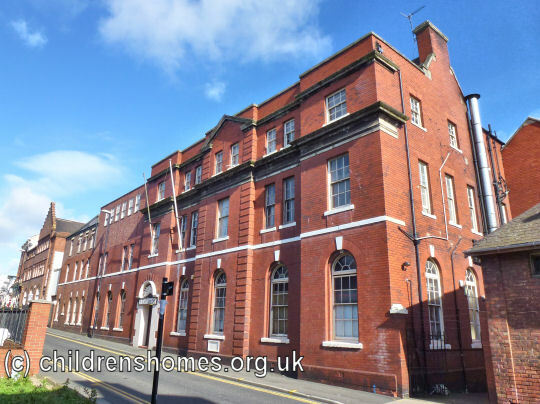 In 1903, structural alterations to the buildings included a new play-room and lavatory, extensions to the laundry, and a comfortably fitted "promotion dormitory" for girls displaying good conduct. On June 22nd, 1907, the premises were re-certified to accommodate 56 girls. The School ceased operation on May 5th, 1919. In 1925-27, a new Seamen's Mission was erected on the former School site.